New and improved for 2016! These stainless steel handcuffs have received a much needed facelift. We took into consideration the bad review, went back to the drawing board, found a new manufacturer and now we've made these wrist restraints even better than before. 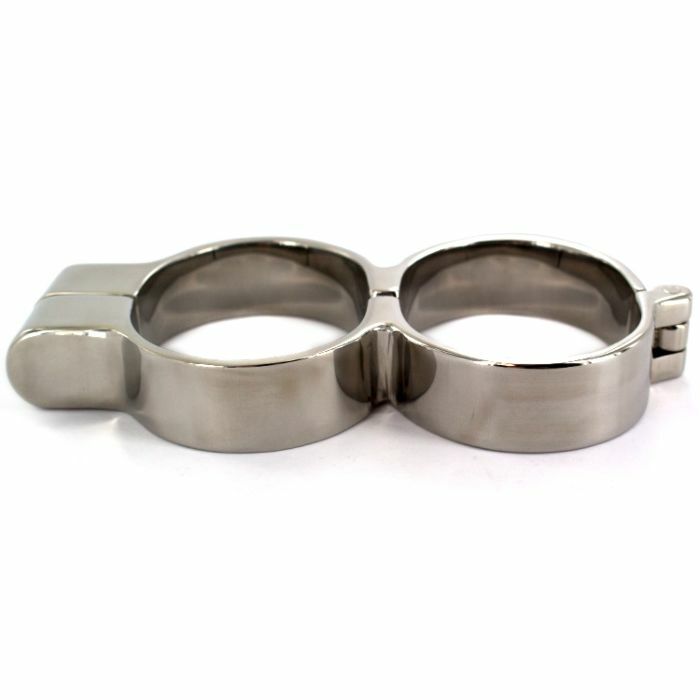 Now you can lock yourself in pleasure with these heavy duty 100% 316 stainless steel handcuffs. Super secure, these handcuffs leave almost no room to move, and without the key there is absolutely no escape. The thick stainless steel has absolutely zero give so whoever gets restrained with these handcuffs are locked away for good. The hinged design makes it quick and easy to handcuff your partner while the gently rounded edges keep your locked up lover comfortable.